The World Day Against the Death Penalty was created in Rome on 13th May 2002, with 10th October established as the date for its annual commemoration in 2003. The World Coalition against the Death Penalty has 158 member organisations, made up of NGO’s, Bar Associations, local bodies and Unions. Amnesty International is a member of the Coalition. It has been working to end executions since 1977, when only 15 countries had abolished the death penalty in law or in practice. That number has now risen to 140. By the end of 2015, 102 Countries had completely abolished the death penalty. The United Nations Moratorium on the Death Penalty calls for States maintaining the death penalty to establish a moratorium on its use, with a view to abolition, and in the meantime to restrict the number of offences punishable by execution, and to respects the rights of those on death row. It also calls on States that have abolished the death penalty not to reinstate it. (Note: UN resolutions are not binding). beginning. It is currently focusing on the sentencing to death and execution of juveniles, in particular in Iran and Saudi Arabia. For this year’s World Day, Amnesty are highlighting the case of the Japanese prisoner, Matsumoto Kenji. 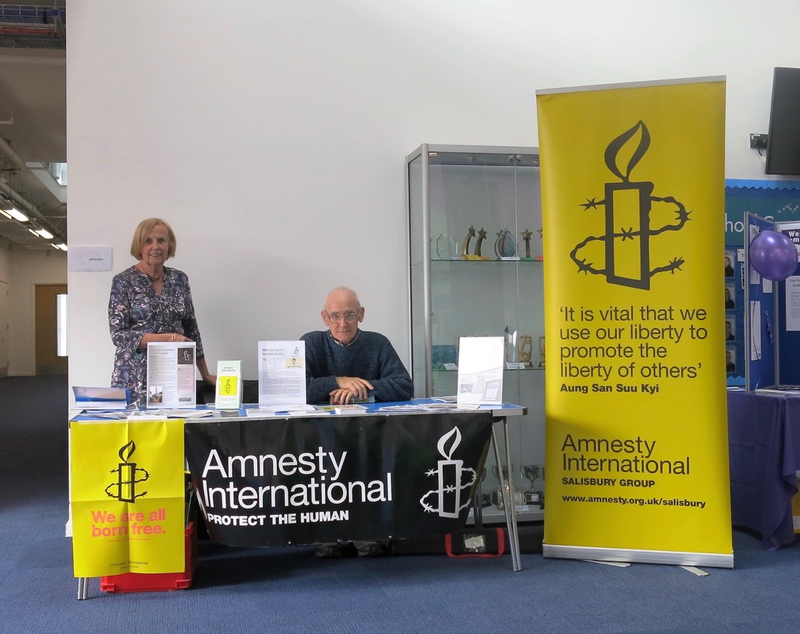 The Salisbury Group manned a stall at the NWR Conference on Saturday, (see photo) in the course of which they collected 50 signatures on cards calling on the Minister of Justice to halt the execution, to end the use of solitary confinement for death row prisoners and to end the use of the death penalty in Japan.